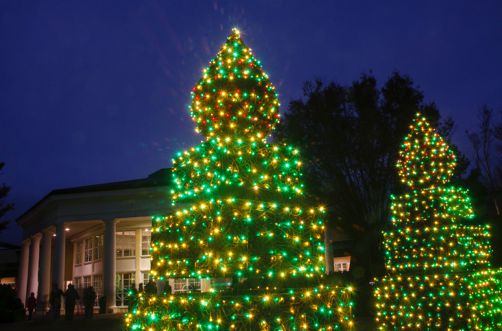 Holidays at the Garden, Daniel Stowe Botanical Garden, 5-9 p.m.
Belmont’s inaugural Festival of Trees showcases decorated trees in Stowe Park and local businesses. Celebrate the season with these joyful displays throughout historic downtown! Known as Christmas Town USA, McAdenville ushers in its 63rd year of welcoming families to its city-wide, noncommercial holiday lights show. 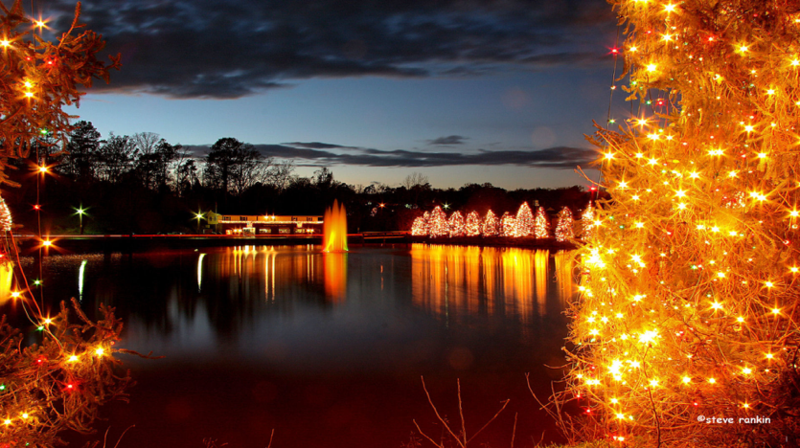 With more than 160 decorated homes and a half million lights across houses, streets and the town’s sparkling lake, enjoy this dazzling display. 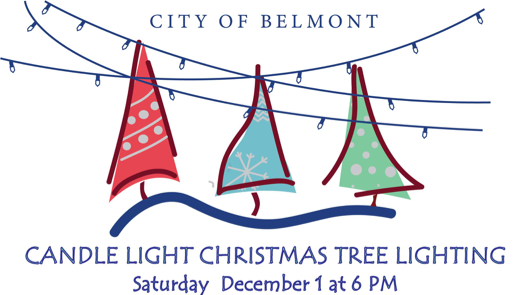 Tree Lighting Ceremony at Belmont City Hall, 6 p.m. The City of Belmont holds its Annual Christmas Tree Lighting in front of City Hall. A candlelight ceremony and Christmas carols will accompany a stroll down Main Street to Stowe Park, officially beginning the Festival of Trees. Belmont Specialty Foods will provide hot cocoa, eggnog and cookies to guests during this seasonal celebration. “Christmas at the Abbey” at The Haid Theatre, Belmont Abbey College, Evenings, 8 p.m., Sun. 2:30 p.m. In its 135th season, The Abbey Players presents “Christmas at the Abbey.” Tickets are $10 to this production at Belmont Abbey College’s The Haid Theatre. 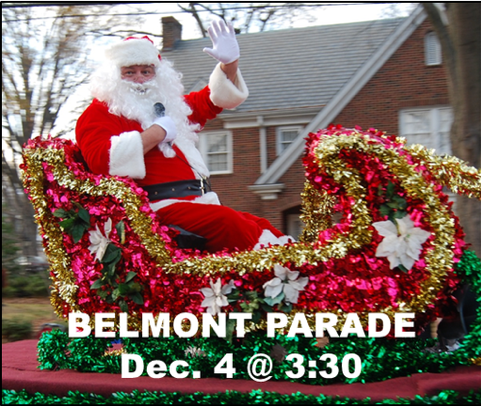 Belmont Christmas Parade in Downtown Belmont, 3:30 p.m.
An annual tradition marching through historic downtown, the Belmont Christmas Parade steps into the holiday spirit with festive floats, antique cars, area school marching bands and Santa Claus! Horse-Drawn Carriage Rides in Downtown Belmont. 5:30-9:30 p.m. Experience Belmont’s Festival of Trees and enjoy a horse-drawn carriage ride. 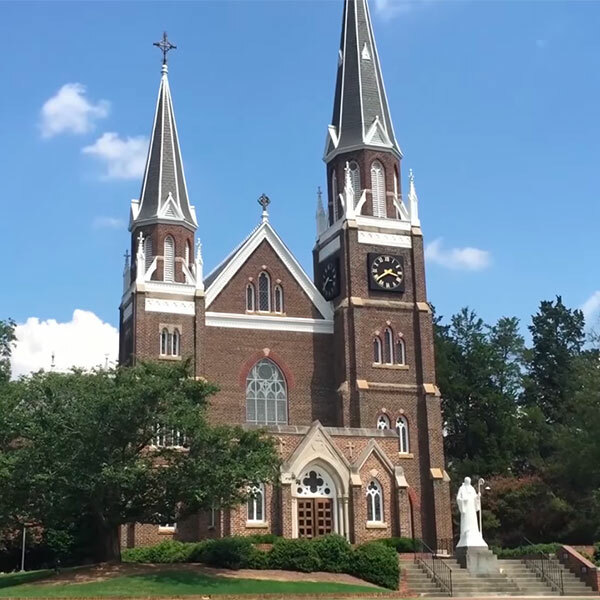 Arts at the Abbey Holiday Concert with the Abbey Chorus and Instrumental Ensemble at Belmont Abbey Basilica, 8 p.m. This concert showcases music of the season and carols to sing with the Abbey Chorus and Instrumental Ensemble. New work will be premiered by well-known American composer Michael John Trotta. 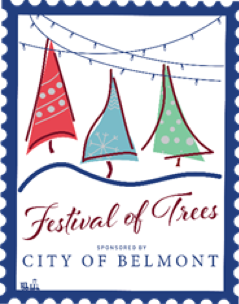 Belmont Christmas Village in the Downtown District, 5-9 p.m. In historic downtown Belmont, the annual Christmas Village brings seasonal festivities to Main Street, including carriage rides, s’mores, hot chocolate, cider, holiday music, bounce house, train rides through Stowe Park and more! Visits with Santa Claus will be available at Cherub’s Café. Ugly Christmas Sweater Party at York Chester Brewing Company, 7-9 p.m. Celebrate the season with festive brews, live music and your best ugly holiday sweater. Santa Hustle North Carolina 5K & Half Marathon, Downtown Belmont, 8-11 a.m. 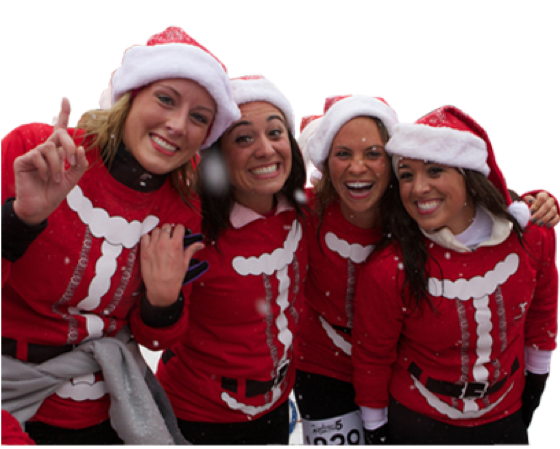 Experience the magic of the Santa Hustle – a race for Christmas lovers everywhere. Decked in Claus’ beard and hat, run to the finish line for candy and cookies at an epic afterparty. Register the kids for the 1-Mile Rudolph Run and make it fun for the whole family.